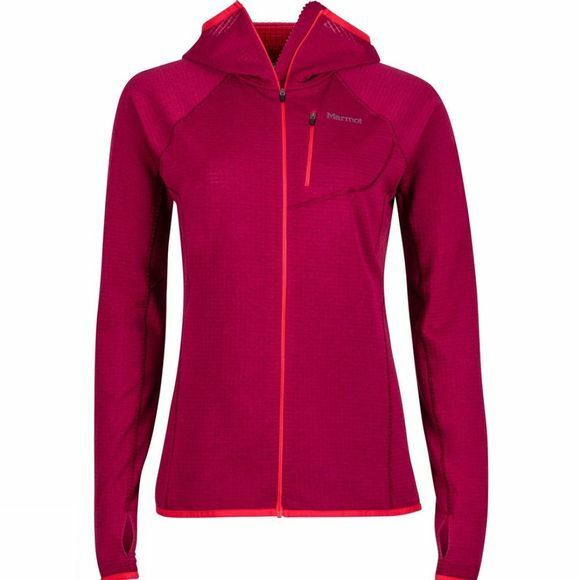 The Womens Neothermo Hoody from Marmot is a solid layer to any hard-working day out. 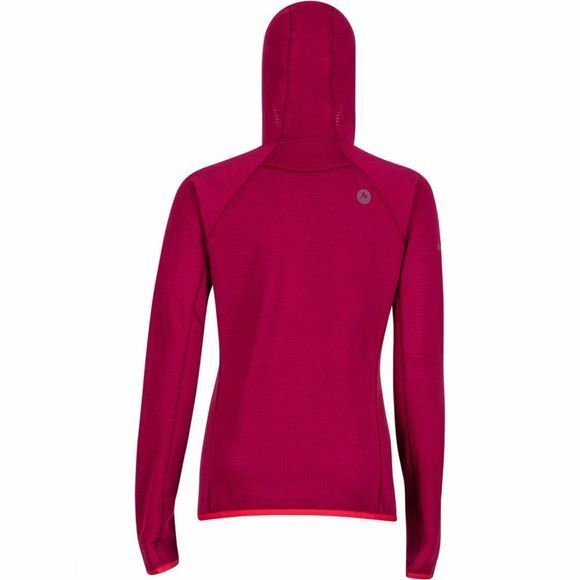 Constructed with Polartec Power Grid — a grid channel construction that simultaneous reduces weight and increases warmth as well as having mechanical wick capabilities — this compressible, highly breathable zip-up hoody has flat-locked seams and integrated thumb holes to keep sleeves in place when layering. Easily stuffs inside your pack.